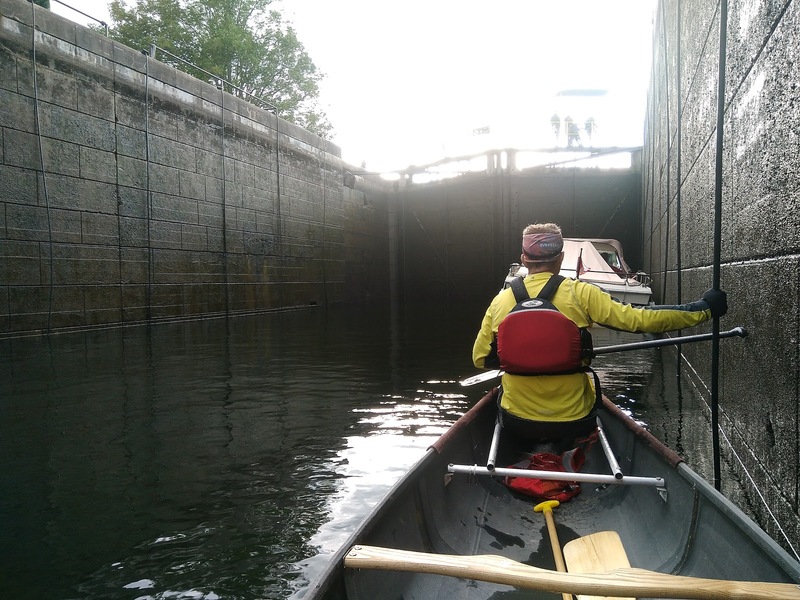 We were looking for a place to paddle on a windy day - wanted to avoid lakes, so we settled on this section of the Trent-Severn. 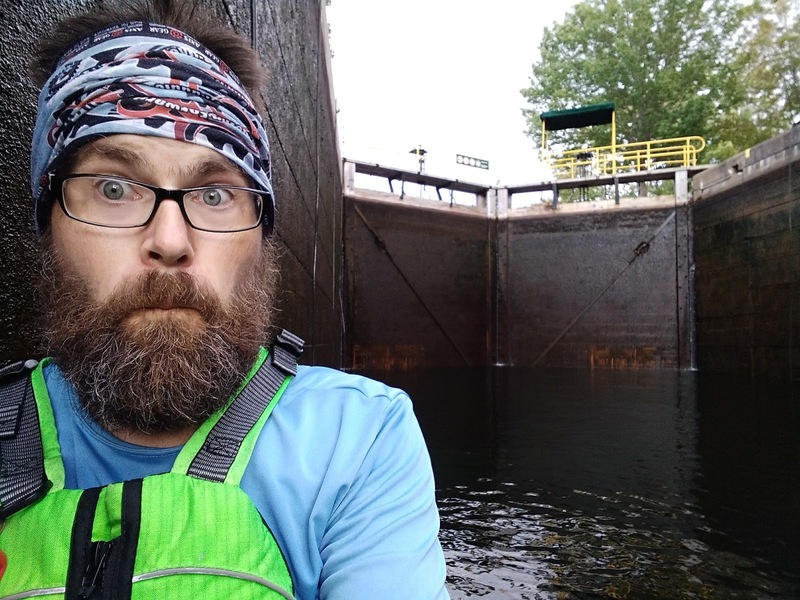 For those not familiar, the Trent Severn is almost 400km long and connects Lake Huron to Lake Ontario via a system of canals, lakes, and rivers. It's a pretty incredible engineering feat, originally for industrial use - but it was almost instantly obsolete. Now it's used by recreational boats, because it's amazingly cool. 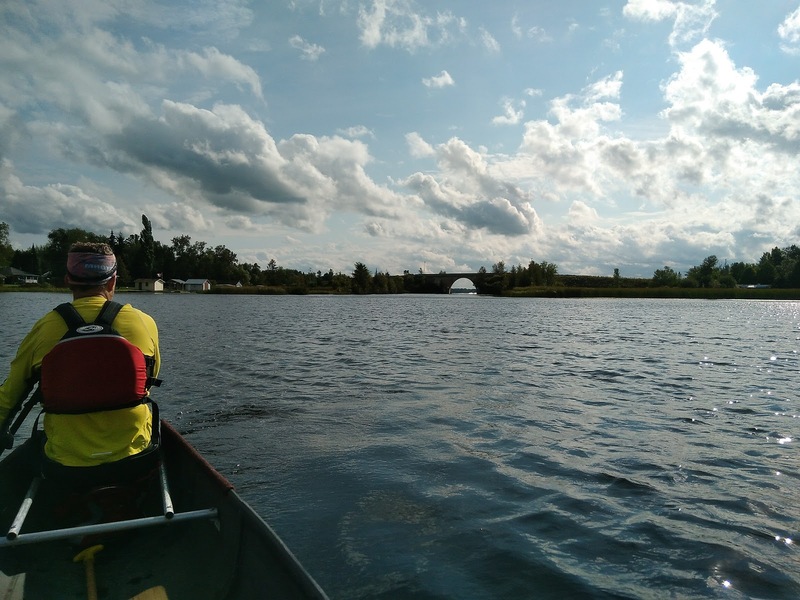 We started in the town of Gamebridge, then headed North-East (upstream) along the man-made canal. There are three locks in quick succession - we portaged them all, trying a new technique out (which we are trying to master for Muskoka River X in a couple of weeks). Basically it involves hoisting the boat onto your shoulder. It worked reasonably well, certainly better than what we've tried before - and you don't have to empty the boat to flip it. ... until we got to Canal Lake. A cloudy/rainy/windy day at the end of summer, and by late afternoon it was still teeming with jetskis and motorboats. We dealt with it, but takes a lot of the joy of paddling and being out in nature out of the equation! The wind on Canal Lake had whipped it up into a lather - pretty sketchy, but we needed some rough water practice. 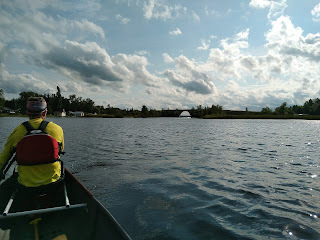 We did a loop around the island (bridges you can pass under in a canoe on either end of it). After this we went back the way we came. In the lock, going down! The water was within a foot of the top of those gates to start! It was pretty freaky. That's why my face is like that. Hold on to the ropes! After that it was an easy paddle to the end. We decided to try an extended portage around two locks instead of one, just to see if our technique was OK. 800m long, all worked well. All in all an enjoyable paddle, and there were definitely options to keep sheltered from the wind.